Located on the corner of 43rd Street and Fifth Avenue, our Manhattan location offers outstanding 17th floor views of Midtown. This 15,990 square foot executive suite has both window and interior private offices ranging from 88 to 240 square feet. 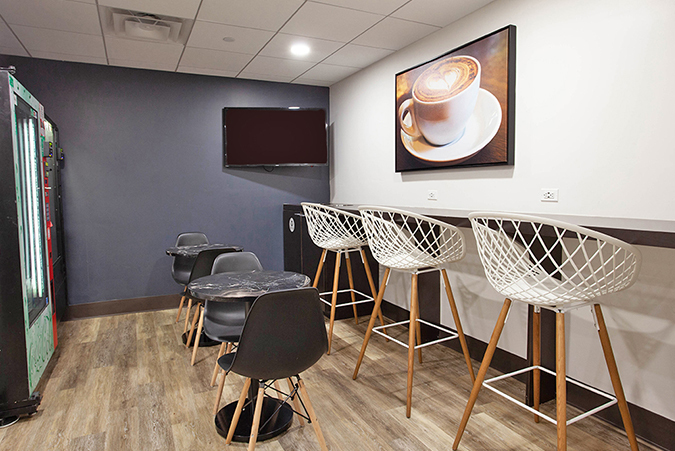 Enjoy our fully stocked kitchen, reception services and three on-site conference rooms. This center is located between Grand Central Terminal and Times Square, and is near the finest hotels, shopping and restaurants in Midtown Manhattan. You will be within immediate access to all major New York City subway lines, bus services and the Metro North commuter rail service to Westchester and Connecticut. Located on the corner of 43rd Street and Fifth Avenue, our Manhattan location offers outstanding 17th floor views of Midtown. This 15,990 square foot executive suite has both window and interior private offices ranging from 88 to 240 square feet. Enjoy our fully stocked kitchen, reception services and two on-site conference rooms. This center is located between Grand Central Terminal and Times Square, and is near the finest hotels, shopping and restaurants in Midtown Manhattan. You will be within immediate access to all major New York City subway lines, bus services and the Metro North commuter rail service to Westchester and Connecticut. With Premier Workspaces, you can experience the best of the city’s corporate atmosphere with one monthly invoice and no capital investment. 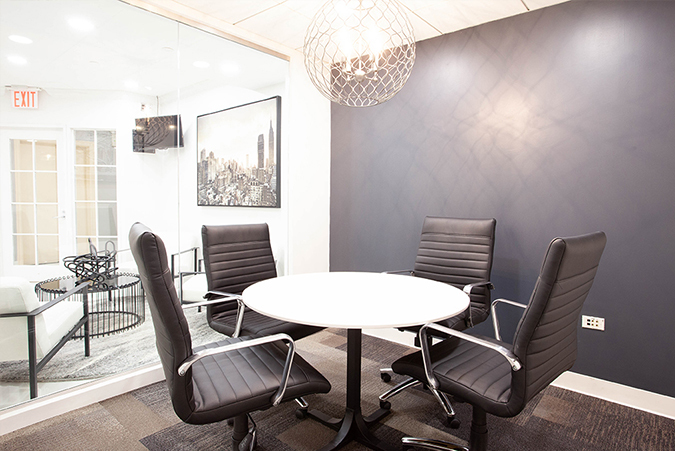 We offer flexible term executive suites, including full-service private offices, virtual office addresses, day offices, meeting room rentals, and much more. 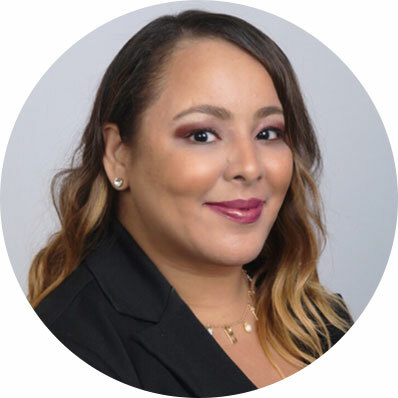 Not only can you obtain immediate occupancy, but we offer short-term agreements that allow you the flexibility to expand or cut back your business space on short notice; a choice not usually available in the conventional New York office space market. Our private offices include 24/7 access, high-speed internet, mail service, appointed conference rooms, a reception area and a fully-stocked kitchen. Let our skilled staff help manage your calls professionally with our personalized telephone answering services. 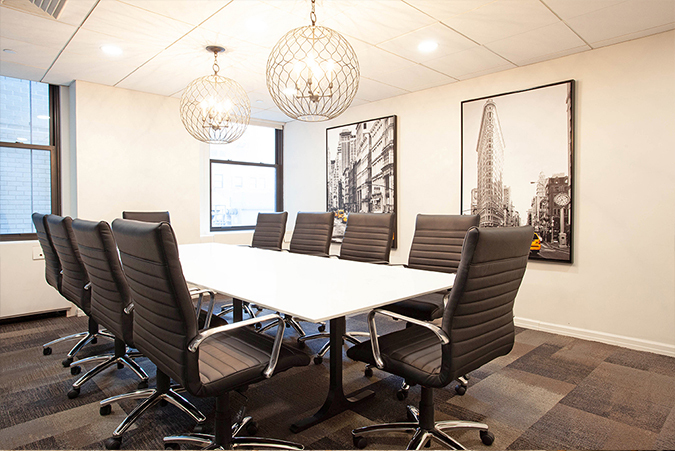 In addition to an office space, PBC’s Midtown Manhattan executive suite offers the tools you need to be a successful business with our virtual office plans. These are ideal for businesses that require a professional address and occasional use of a day office or conference rooms. 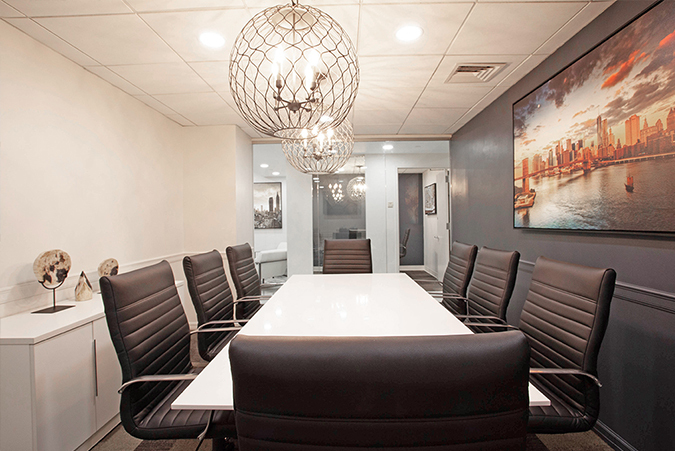 Clients can share a prestigious office space without having to pay the full-time cost. Contact us today to learn more about our office plans and how Premier Workspaces can help your business grow and adapt effectively. We can be reached by phone at (212) 292-4444 or schedule a tour of our executive suites in Midtown Manhattan today!